Hello ... Hello ... my old friends ... It's great to see you once again! 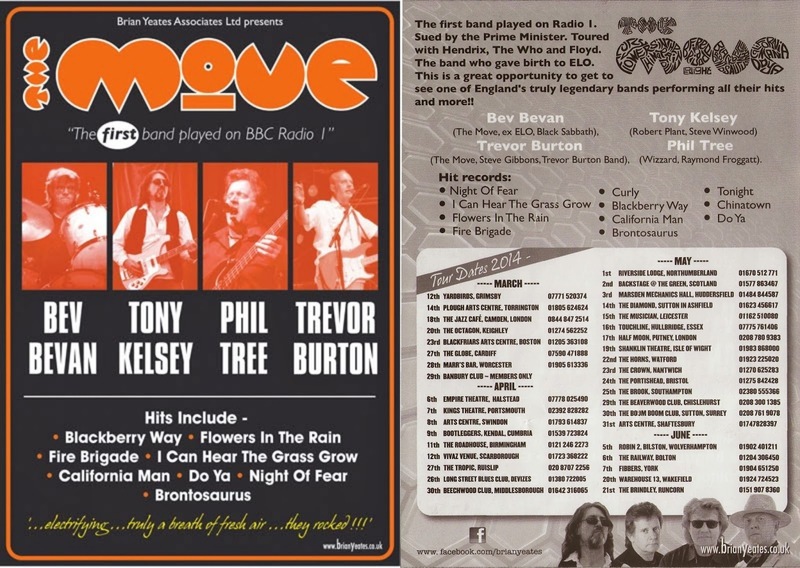 The outdoor live music festival season will soon be upon us and gracing the Main Stage at The Isle Of Wight Festival this year will be none other than The Move featuring Bev Bevan, Trevor Burton, Phil Tree and Tony Kelsey on Sunday 15th June. The former ELO, ELO Part II and Black Sabbath drummer spoke to The Birmingham Mail earlier today to confirm their high profile gig at the world famous event and the fact that he has another 101 gigs lined up in eleven  hectic months! ELO Beatles Forever [ELOBF] recommends The Move and The Isle Of Wight Festival to those enlightened folks who enjoy the music of ELO, Jeff Lynne, Roy Wood, Wizzard, The Idle Race, 'Brum Beat', The Beatles and related artistes.